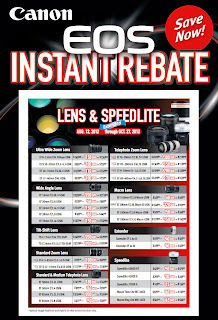 Canon USA has extended their lens rebate till October 27, 2012. See poster for details on individual lens. In addition, there will be a big sale on the Canon EOS-5D MK II camera around the globe, starting on October 1, 2012, until the inventory is depleted or gone. The US price is now $1,799 officially, which means one can buy it even cheaper in many big camera stores and online merchants. This is a very good price for this very good camera. Canon EOS-3D megapixel DSLR ? 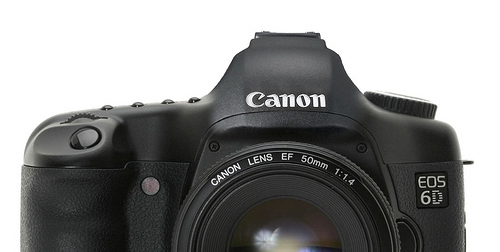 Canon is working on a new megapixel DSLR, perhaps to be called the EOS-3D or some other designation. It may have a sensor with over 40 MP and superior dynamic range. The performance will be close to medium format cameras and superior to the highly rated Nikon D800. The new camera's development may be announced during the PhotoPlus Show in New York City in late October. 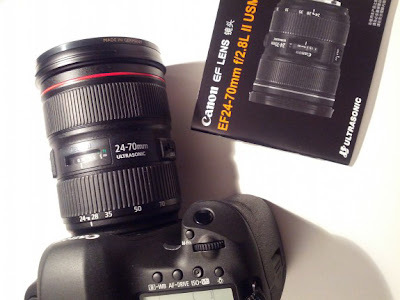 New Canon EF 300mm f/4L IS II and EF 400mm f/4L IS in late 2012 ? Canon EF 300mm f/4L IS II lens? As my sources in Asia have informed me, Canon is worried about the anti-Japanese riots in China. They have already shut down 3 plants temporarily and is watching the situation very carefully. Canon plans to introduce a few new L lenses in the next few months. 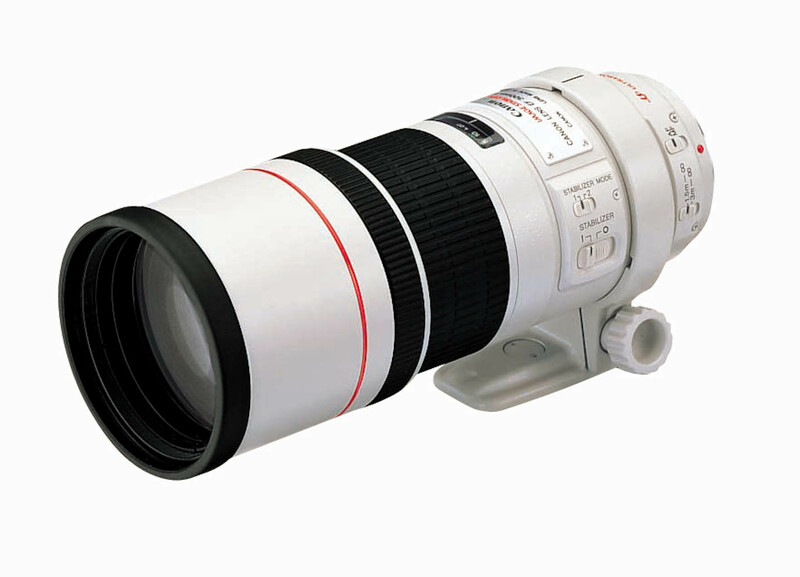 There is talk of the Canon EF 300mm f/4L II and the EF 400mm f/4L IS lenses. The EF 400mm f/4 DO is getting a bit old and needs updating but the new lens may not be a DO model so it will be slightly heavier. The EF 200-400mm f/4L IS + 1.4X lens should be officially released very soon and shipping may commence late this year or early 2013. The next opportunity for Canon USA to showcase their new products in during the PhotoPlus Show in New York City in October. Look for Canon to release the EF 200-400mm f/4 lens officially and introduce some other new gear, perhaps a megapixel DSLR camera after they have a better understanding of their exposure to their supply chain risks in China. I am still on my European photo shoot and find it hard to keep up with my Blog with all the traveling but frankly I find this year's Photokina Show announcements to be a bit underwhelming, especially from Canon. 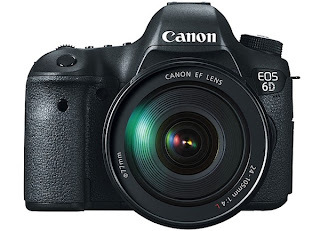 The Canon EOS-6D and PowerShot G15 are good solid cameras but hardly stir any excitement in me. My sources in Asia tells me Canon is concerned with the anti-Japanese 'riots and demonstrations' flaring up in many parts of China. They fear this will affect their supply chains and may delayed their ambitious product introductions. That's why they have delayed in announcing more 'exciting' cameras and lenses until they get a better understanding of the situation but the EF 200-400mm f/4 + 1.4X extender lens seems to be on scheduled to be officially released in a month or two with delivery commencing by the end of 2012 or very early 2013. 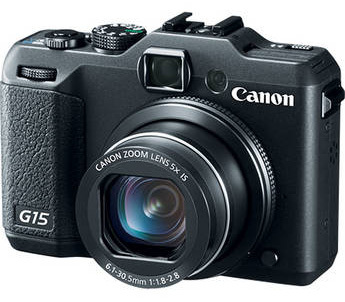 In addition to the EOS-6D, Canon also announced the PowerShot G15. The number 13 is considered unlucky by many in Asia so it is understandable why they skipped it but why jump to 15? Anyway, the PowerShot G15 has a slightly smaller sensor than the PowerShot G1 X. The new camera has a 3.0 inch LCD monitor, a 28-140mm lens with 5x optical zoom and IS with a four stops compensation. HD 1080p video and ISO settings up to 12800. The anticipated price will be $499, and availability will be in October, 2012. You can visit me on Facebook and follow my travels in Europe and see some of the photos I have posted so far. 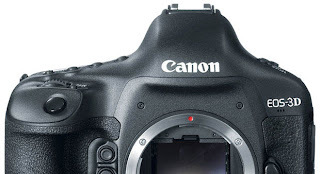 The following is the complete announcement from Canon USA concerning the EOS-6D. As an entry level, full frame camera, it is a good value and basically replaces the venerable EOS-5D MK II camera. LAKE SUCCESS, N.Y., September 17, 2012 – Canon U.S.A., Inc., a leader in digital imaging solutions, today introduced the EOS 6D Digital SLR Camera, a versatile mid-range full-frame camera with the durability and performance professionals require and the creative imaging options serious photographers crave. Canon has coupled the incredible image quality of a newly designed 20.2-megapixel full-frame CMOS sensor and DIGIC 5+ Image Processor with the creative potential of built-in wireless transmitter and GPS features. The camera also includes an 11-point AF array and 63-zone dual-layer iFCL metering sensor together with 1080p Full HD video capabilities, in an affordable camera body. Building upon the qualities that made the EOS 5D Mark II camera so successful, the EOS 6D bridges the gap for budget-minded photographers, videographers and cinematographers who are eager to step up into the world of full-frame imaging. “The introduction of this camera completes a well-rounded ecosystem from input through output for Canon, allowing us to provide the right combination of features for every level of photographer. We believe the EOS 6D Digital SLR Camera along with our new PIXMA Pro printers will help unlock the creative vision of so many who aspire to capture and display their artistic abilities,” stated Yuichi Ishizuka, executive vice president and general manager, Imaging Technologies & Communications Group, Canon U.S.A. Designed for advanced amateurs and videographers making the move to a full-frame Digital SLR, the EOS 6D fits neatly into Canon’s professional imaging system with an advanced feature set including full manual options for creative control in addition to new and intuitive automatic settings to help even novice photographers capture great images. The camera’s construction helps meet the needs of professionals with a 100,000-cycle shutter durability and EOS Integrated Cleaning System for high-quality vibration-based dust removal. Among the many advancements in Canon’s new EOS 6D is the Company’s proprietary DIGIC 5+ Image Processor that powers the camera’s fast 14-bit analog-to-digital conversion for exceptionally smooth color tones and gradation. The camera offers a full-frame, 20.2-megapixel CMOS sensor and continuous shooting up to 4.5 frames per second (fps). Thanks to the combination of its new CMOS image sensor and the powerful DIGIC 5+ image processor, the EOS 6D provides a wide ISO range from 100-25600 with a low setting, L: 50 and two high settings, H1: 51200 and H2: 102400. These outstanding low-light capabilities allow the EOS 6D to easily capture dimly lit scenes such as wedding ceremonies, indoor corporate events, or landscapes at dusk. To support the ample sensitivity of the new camera’s sensor, the EOS 6D camera’s Auto Focus (AF) system includes a newly-developed 11-point AF sensor featuring a high-precision center cross-type point with an exceptional EV -3 sensitivity rating for accurate focusing even in extremely low-light conditions. The EOS 6D has a large 3.0-inch Clear View LCD monitor with 1,040,000 dot VGA resolution and 170 degree viewing angle, with high-transparency multicoating for maximum protection and clarity when viewing images or navigating menu screens. When used for Live View shooting, the camera’s bright high-performance LCD screen provides 100 percent coverage, for easy focusing and framing. Videographers, student filmmakers, and creative independent spirits will appreciate the full-frame video capabilities of the EOS 6D in an affordable and compact body. Borrowing from the best of the EOS 5D-series, the EOS 6D provides full manual control over exposure and audio levels while recording video. The camera features NTSC and PAL video modes at multiple frame rates, recording 1080p at 30 (29.97), 24 (23.976) and 25 fps, 720p at 60 (59.94) and 50 fps and standard video at 30 (29.97) and 25 fps. The camera provides up to 29 minutes and 59 seconds of continuous recording (with 4GB automatic file partitioning) in selectable All i-frame or IPB compressions with embedded timecode. Especially when used with large aperture lenses, the EOS 6D camera’s full-frame sensor offers a tremendous degree of creative control over depth-of-field, helping users to achieve pro-quality cinematic effects in Full HD video recordings. For the ultimate in DSLR connectivity and control, the EOS 6D features a built-in wireless transmitter which allows the camera to share images and video with the user’s choice of wireless devices such as select PowerShot cameras, smartphones, or tablets, as well as cloud-based destinations including social networking sites through the Canon iMAGE GATEWAY. A very intuitive and useful wireless feature is the new, free Canon EOS Remote app available for iOS and Android systems which will allow a smartphone or wireless device such as a tablet to remotely connect, control and operate the connected EOS 6D. This seamless connection and control will open new opportunities for professional photographers shooting weddings or remote wildlife, without the need for tethered operation or accessories. For on-location shooters, landscape photographers or enthusiast photo travelers, the EOS 6D features a built-in GPS receiver to record longitude, latitude, elevation and Coordinated Universal Time (UTC) as EXIF data for seamless geo-tagging while shooting. The GPS coordinates are appended to each image and easily syncs with Canon software or mapping apps on social network sites to show image locations. Use of UTC data allows images to be chronologically mapped and trails plotted and recorded. Boundless Creativity To help photographers unlock their full creative potential and explore all the different avenues of digital photography, the EOS 6D includes several creative modes for image capture. First is the HDR (High Dynamic Range) mode allowing the camera to capture three separate exposures and combine them in-camera for a stunning image capturing both enhanced shadow detail and bright highlights. Next is the camera’s Multiple Exposure mode where users can combine up to nine individual images into a single composite image, with no need for later computer post-processing. Four different compositing methods are provided for maximum creative control, including Additive, Average, Bright and Dark. Compositing results can be viewed in real time on the camera’s LCD monitor, and there is a one-step Undo command that allows photographers to delete an image and try again if desired. The EOS 6D will even allow photographers to specify a previously captured RAW image as the starting point for a new Multiple Exposure composite image. In addition to HDR and Multiple Exposure modes are Canon’s standard Scene Intelligent Auto and special scene modes to capture great images with ease. The camera is compatible with SD, SDHC, and SDXC memory cards including the new Ultra High Speed (UHS-I) cards. The EOS 6D Digital SLR Camera will be sold in a body-only configuration at an estimated retail price of $2,099.00 and it will additionally be offered in a kit version with Canon’s EF 24-105mm f/4L IS USM zoom lens at an estimated retail price of $2,899.00. Both configurations are expected to be available in December 2012. A brief history of Canon Inc. and how they acquired their logo. Something to occupy you until we get more news from them concerning new product announcements. Click on this link to see their history page. It appears Canon may announce the development of a new, megapixel EOS-1 professional camera soon. It is rumored to have a sensor of over 40 mp. 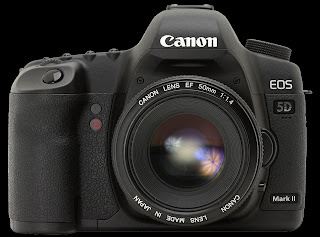 Perhaps this is the long awaited 'successor' to the venerable EOS-1Ds Mk III. If true, this will definitely generate a lot of excitement at the Photokina Show in Germany next week. I have taken delivery of the EOS-1D X over a month ago and am quite pleased with its performance. Can you imagine another EOS-1 D camera with the same performance as the 1D X but with a megapixel sensor and a trade off with a lower burst rate of perhaps 5 to 6 fps? I will take that any day as a replacement for the 1Ds MK III. Take a look at my review of the EOS-1D X camera here. Canon's announcement of the EF 200-400mm f/4 + 1.4X extender lens was over one year ago and gave them tremendous coverage and attention. I am still waiting for that lens to be official released. It should not be too long now. 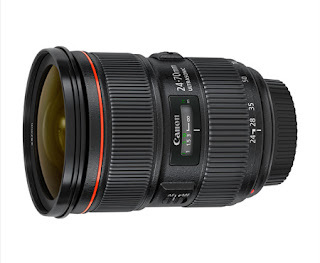 The Canon EF 24-70mm f/2.8L II lens has started shipping in the US. I should be getting mine next week but unfortunately, that is too late for me because I will be on an European Photo Shoot. My photographer friend from Hong Kong has put the lens through a few shoots and is very impressed by the performance. The lens is lighter, more agile, has better bokeh and sharpness, but only incrementally. The original EF 24-70mm f/2.8L is already a great performer and topping this lens by a wide margin is a tall order. For those who make a living in Portrait and Wedding photography and if they want to sell or keep the older lens for a backup, the choice is not that hard. For the other photographers who are thinking of choosing between the two lenses, the decision is harder. The extra $1,000 cost of the Series II lens may be hard to swallow for most. Visit my website MichaelDanielHo.com to see photos taken with the lens. As my readers know, my Blog and website do not take advertisement or endorse any particular camera retailer in order to remain completely objective. Once in a while, I come across a great deal and let my readers know about it. 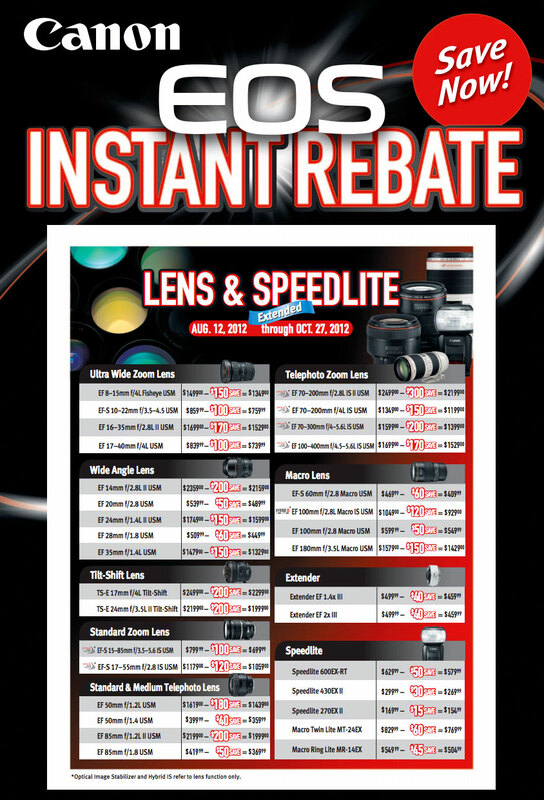 The Canon Summer Rebate ended on September 1, 2012, but there is an even better deal going on for those who have always wanted a good to excellent DSLR and a quality printer to go with it. Canon is giving a rebate of $400 to $500 if one buys a DSLR and a Pixma Pro printer at the same time. This program ends on September 30, 2012. There are a few camera merchants participating in this program. I have provided the link to the Amazon website only because this is one of the most well known retailers in the world and my endorsement does not come with it. The objective is to let the readers understand the terms of the rebate in a PDF document. Click here to see the equipment with the $400 rebate. Click here to see the equipment with the $500 rebate. The big Photokina Show will commence in Cologne, Germany in less than 2 weeks. The world's leading imaging fair brings together the industry, trade and professional users and consumers with a passion for photography. The show is from September 18 through 23. Normally, camera and equipment manufacturers will highlight their new products during the show and Canon is expected to announce some new products starting next week. Although Canon is expected to introduce a new full frame camera with a BIG megapixel sensor to compete with the Nikon D800 and D600, it is not clear the camera will be announced during the show. There will be new pro Pixma printers, and new PowerShot cameras to replace the G12 and S100 and one or two new EF and EF-M lenses. The three new lenses I am eagerly waiting for are the EF 200-400mm f/4L + 1.4X ; the EF 100-400mm f/4-5.6L IS II and the EF 400mm f/5.6L IS. The EF 200-400mm f/4 received raving reviews during the London Olympics and frankly I think Canon is just trying to wrap up the loose ends before they officially release this lens with a delivery date by the end of the year or early 2013. I will be on an European Photo Shoot next week and will miss the Photokina Show by a day but will try and keep up with the news and write this Blog at the same time. My posts will be fewer while I am on the road so please bear with me. Great News ! 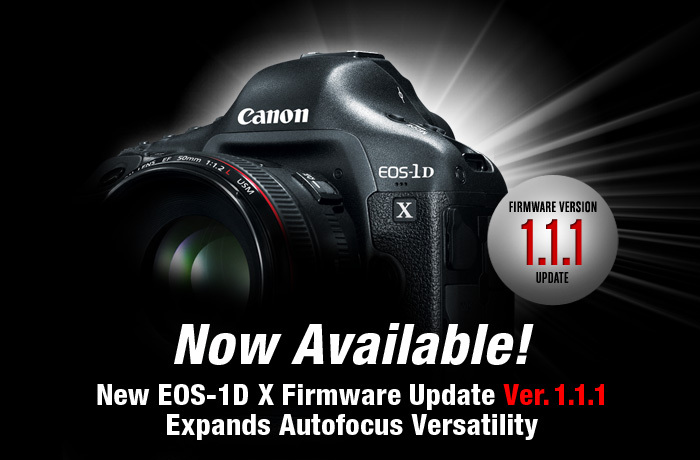 Canon has finally listened to photographers like myself who clamored for a Firmware update to address the 'annoyances' of the EOS-1D X. Read my most recent post on the camera. Remember my review of the EOS-1D X camera and how I rhetorically asked when Canon will fix some of the annoyances of the camera, like not being able to AF pass f/5.6? Well, Art Morris, the bird photographer, has posted an interesting article on how he got the EOS-1D X to AF with the Kenko Teleplus Pro 300 DGX 1.4 teleconverter. I am not a bird photographer exclusively so the inability of the EOS-1D X to AF beyond f/5.6 is not a big problem for me but there is no reason why the camera should not be able to do that. In fact, if left uncorrected, this will be the first Canon EOS-1 professional camera with this 'flaw'. 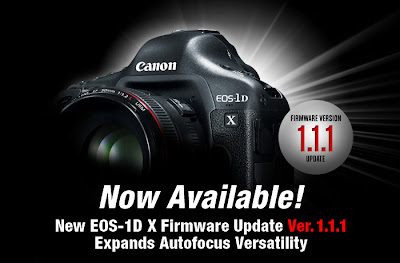 I am still hopeful Canon will see its error after so many feedbacks from owners of the EOS-1D X and correct the mistake in the next Firmware update. Click here to read Art's article and visit my website MichaelDanielHo.com to see wildlife photos taken with the EOS-1D X camera.